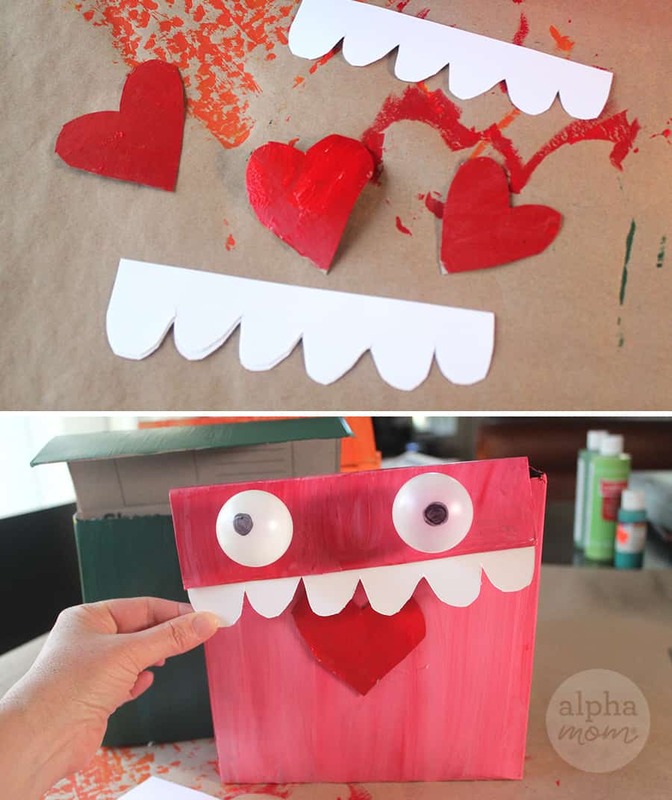 Kids make Valentine Mailboxes these days for the exchanging of and receiving class valentines. 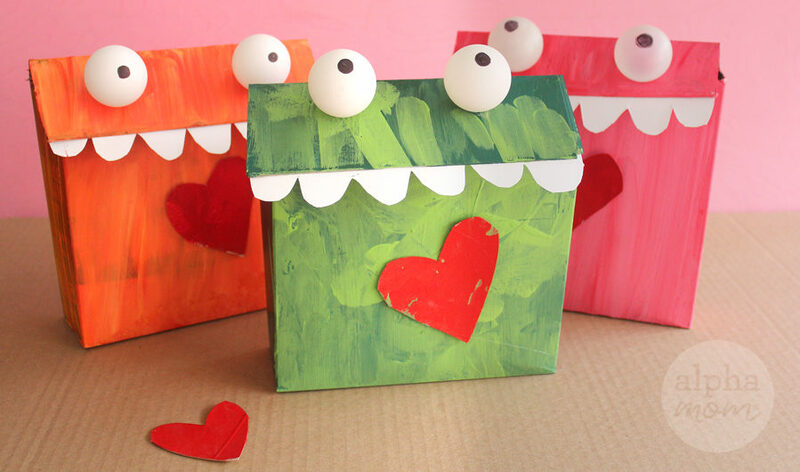 So, we thought we’d get in the mix and make some MONSTER Valentine Mailboxes! Because we LOVE monsters! Then continue the cut along both sides of your box but not to the back. This will create the monster’s mouth and mailbox lid. Open the box and cut off the side flaps. 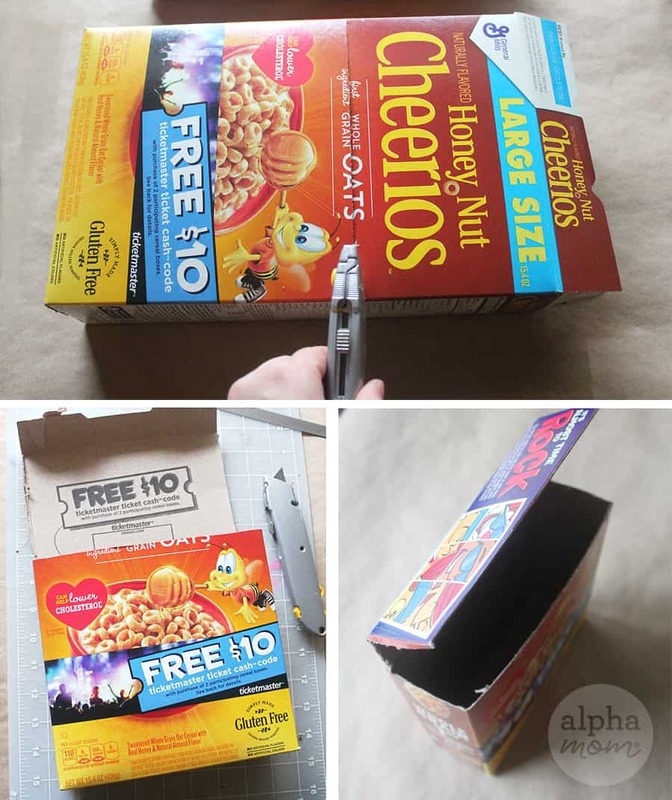 Then score the box lid along the backside to create a crease so the box lid folds over and another score across where the box flap folds over your box. Step 2: Now it’s time to paint! 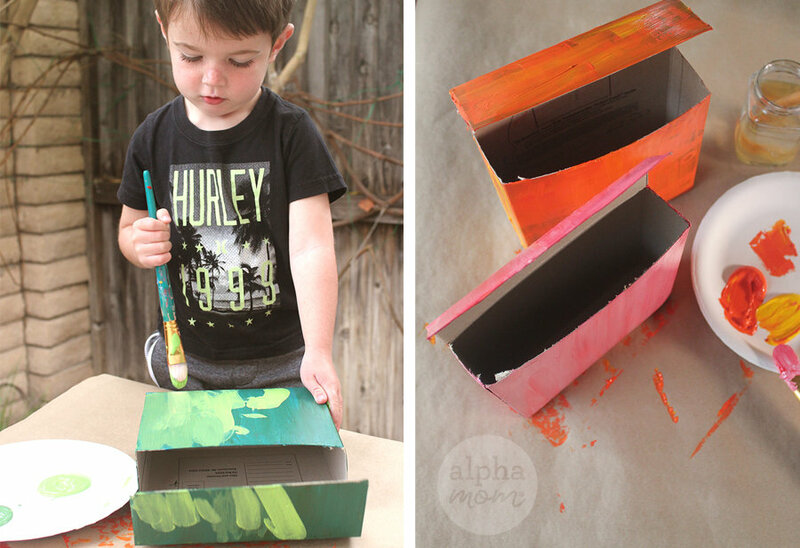 You’ll want to paint your box before you add the monster teeth and eyes, of course. Paint, paint paint! Any color and texture will do. Go ahead and get sloppy. Monsters are messy! 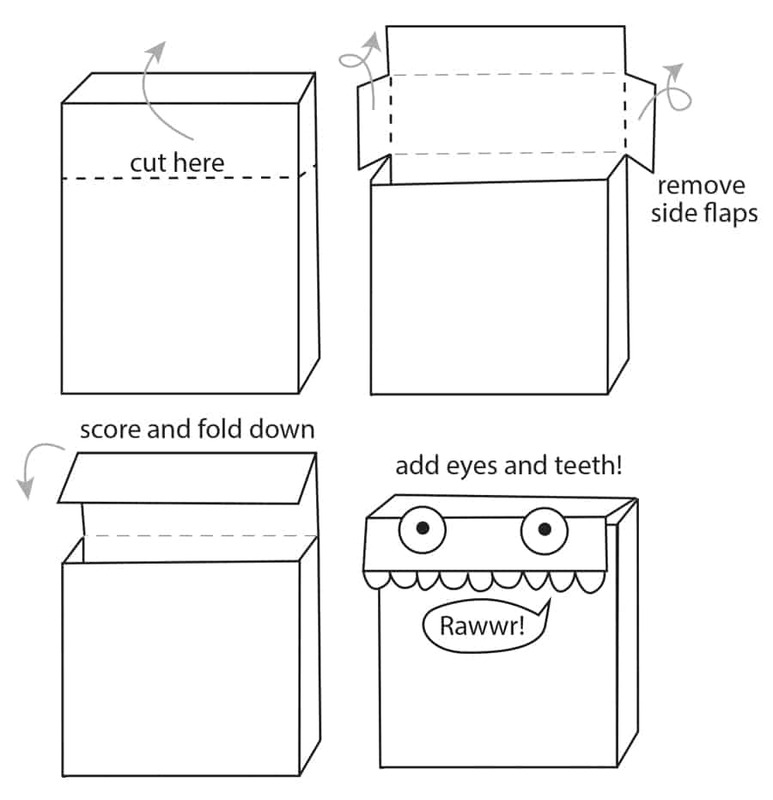 Step 3: Once your box is dry, cut out some lumpy teeth out of a piece of white cardstock. Glue the teeth to the back of your mailbox flap like so (see above). Step 4: Then attach your ping pong balls for eyes. 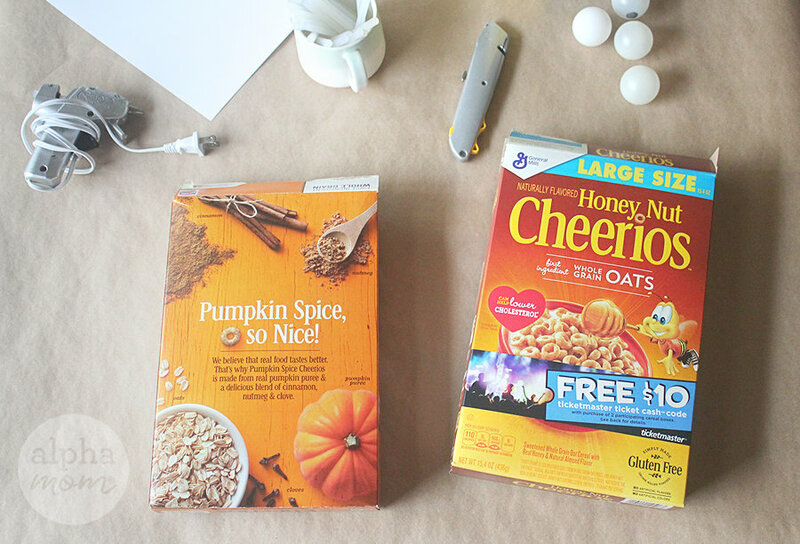 Hot glue works best here so make sure to have a responsible adult and/or experienced crafter do that part. Draw black dots on the middle of the ping pong balls for irises. 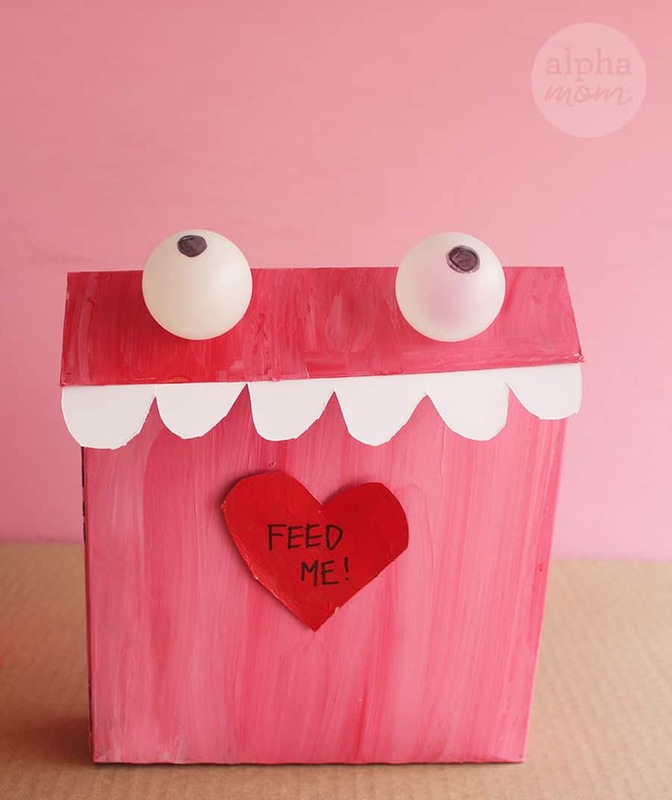 Step 5: Add a heart in the center of the box for Valentines Day and you have an adorable MONSTER VALENTINE MAILBOX! So cute, right? You’re going to want to fill them up with Valentines asap! Nom nom.